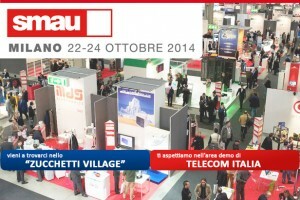 MACNIL will be attending SMAU Milan since the 22nd to 24th October to present the project “Seeding”, inspired by a new model of SmartCity able to manage and control the network mobility and traffic. Communicating real-time information in the public interest, the citizens of the City of Bari will soon be able to know all the information of their interest and make complaints and reports using the App InfoSmartCity. MACNIL, a Zucchetti Group company, will be among the exhibitors for showing to companies and governments its technologies, and nominate this project among the best practices of the Show. To gain free entry to SMAU Milan Click Here!